Black^: "It’s not easy to get a hard carry in the game"
Black^: "It’s not easy to get the hard carry going"
After a seven months break, the community’s favourite hard carry Dominik 'Black^' Reitmeier has finally found a new home. We talked to him about his goals leading up to The International 8 and the current meta. You took a break from playing professionally for a while. What has changed since then? Did your playstyle evolve during that time? I watched a lot of matches and learned a lot, too, especially from Team Liquid. I hope that I can come back even stronger after this short break. These are your first steps in the new Pro Circuit. What do you think of the new Circuit? Would you change anything about it? I think the new system is good because it brings more structure and can help to get more players and teams involved in Dota 2. The only problem I sometimes see are the clashes with dates and qualifiers of tournaments. But Valve is working really hard to fix that and the problems are usually resolved rather quickly. Why did you join this team and which region will you compete in? We built this team spontaneously, because the old Clutch Gamers squad seemed to have a lot of problems and the organization wanted to have a new team. We’ll play in SEA, because our sponsor has a place for bootcamping in Thailand. What are your goals as a team? Our first goal will be to get to know each other better, learn to play together and trust each other. Of course, we want to win as many qualifiers and tournaments as possible, but when building a new team, it’s better to take it slow at first. How big are your chances in the upcoming qualifiers? Can you get enough points to be in the Top 8 for TI8?8? Since we are a new team, we would have to win at least two majors – which is not impossible but could be really tough challenge, especially since the SEA region got really strong. They enticed lots of foreign players and the competition is strong. On which level do you see yourself on? If you had to compare your lineup to other teams, where do you see yourself right now? Hmm, that is not easy to say, because we didn’t play together as a team yet. In the next few months we will see, where we are at and hopefully it will be a positive surprise. Vladimir 'Yol' Basov is a young talented player. 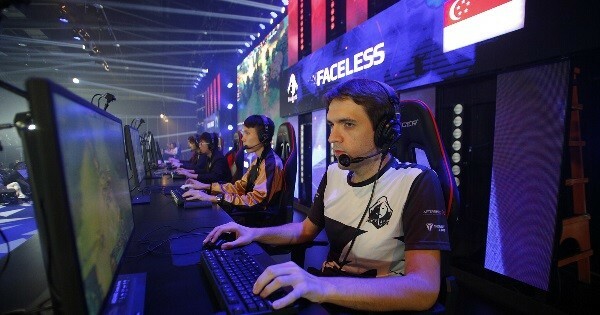 Despite being just 18 years old, he already got some decent experience in Dota 2 pro teams. How can he help your team as a player and what can he learn from you? Yol will be our Captain. I hope his drafting skills and ingame leading will be an advantage for us. I think with my experience, I can help him to stay calm despite of pressure. What do you personally think of the hard carry meta at the moment? At the moment it’s not easy to get the hard carry going because there are a lot of popular push heroes like DK, Lycan, DP, TB and so on. But I still really enjoy it, since you have to put up a fight to get your hard carry in the game. So I wouldn’t change anything at the moment. Although it’s still possible that I change my opinion about the meta really quickly with the new system bringing patches every two weeks.